Borang yang korang telah isi dengan lengkap bolehla dihantar ke bank-bank yang mengambil bahagian untuk diproses.Tempoh permohonan Skim Amanah Rakyat 1Malaysia ini akan dibuka selama setahun mulai 1 Feb 2012 ataupun sehingga semua peruntukan pembiayaan habis dilanggan. ni untuk ketua keluarga je kan? Yes! Finally someone writes about 150 x 180.
perfect manner? I have a challenge that I'm just now running on, and I have been on the glance out for such info. 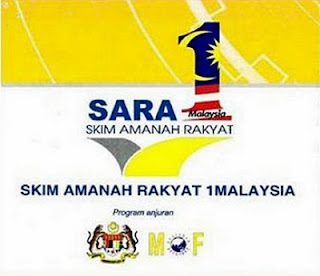 this page "SARA 1Malaysia | Download Borang Permohonan Skim Amanah 1Malaysia". I actually do have a couple of questions for you if it's okay. Could it be simply me or do some of the remarks look as if they are written by brain dead folks? :-P And, if you are writing on additional online sites, I'd like to keep up with everything fresh you have to post. accession capital to say that I acquire in fact enjoyed account your blog posts. Any way I'll be subscribing in your feeds and even I achievement you get admission to constantly rapidly. Hi there very nice website!! Guy .. Beautiful . spending the time to talk about this topic here on your web page. helpful information The owner of the purebred dog will be glad to discover that heredity conditions will be covered under both these plans. Keep in mind that you are applying for a dog health insurance is that for you to save money and at the same time give your dog the health benefits that they need.